Yesterday was April Fool’s Day and for many of us, it’s just another day. But for big companies, it’s an opportunity to showcase their creativity, create rapport with consumers and ultimately boost their brand’s image. April Fools Day pranks can either be a really great branding strategy to bring about exciting publicity and a bit of harmless fun, or they can be a total PR disaster. It’s a pretty fine line to tread. Some brands have chosen not to partake in this year’s jokes, with Microsoft releasing a statement that they’re banning pranks altogether. However, many companies have launched tasteful products and promotions that are all in the name of good fun. Here at Tactical Solutions, that’s definitely something we can get behind! We love seeing the creativity and possibility in the retail product market. Here are some of our favourite new product launches for April Fools Day 2019. Whiskey brand Jameson has launched a new product for April Fools: Catchmates. A play on words inspired by its beloved Caskmates, this new bottle surprises any ‘cheeky roommates’ with an explosion of green glitter if they try to steal your alcohol stash. With clever ‘GlitterShot Technology’, we love the concept behind this and think it’s a great advert for the brand. It’s playful and just a bit of fun which, really, is what April Fools should be about. Spreadable products have been making waves in the retail sector over the past couple of years, with the likes of Lotus Biscoff and Cadbury’s Double Decker getting in on the trend. They’re a great success so we understand why Yorkshire Tea decided to go with the spreadable theme for their April Fools Day joke product. They changed the original slogan ‘Let’s have a proper brew’ to ‘Let’s have a proper slice’ – great brand promotion! And of course, tea and toast is a match made in heaven. Taking advantage of last year’s avocado obsession, Maryland has massively hit the nail on the head with this one. Promoting their new ‘Avocado superfood cookies’ across their social channels has got everyone talking and we’re not surprised. Fun fact: this actually fooled one of the members of our team! It’s definitely the kind of thing you’d see on a foodie Instagram, except this time, promoted by a firm-favourite biscuit brand. The high-street food outlet of the moment: Greggs. After the launch of their very serious and massively successful vegan sausage roll, we genuinely thought Greggs would be all out of good ideas. However, the ice popsicle company POPS posted a genius concept on their LinkedIn – say hello to the Sausage Roll popsicle. Okay, logistically, it probably wouldn’t work, but this is a great example of riding on the coattails of a brand doing marketing right. The ever-fun and witty company Innocent Drinks (who we’re proud to say we work alongside!) posted an April Fools prank with the launch of their ‘Just Bits’ juice. It achieved great engagement across their social platforms and there have been some brilliant comments from users. Our favourite was “This is unappeeling”. 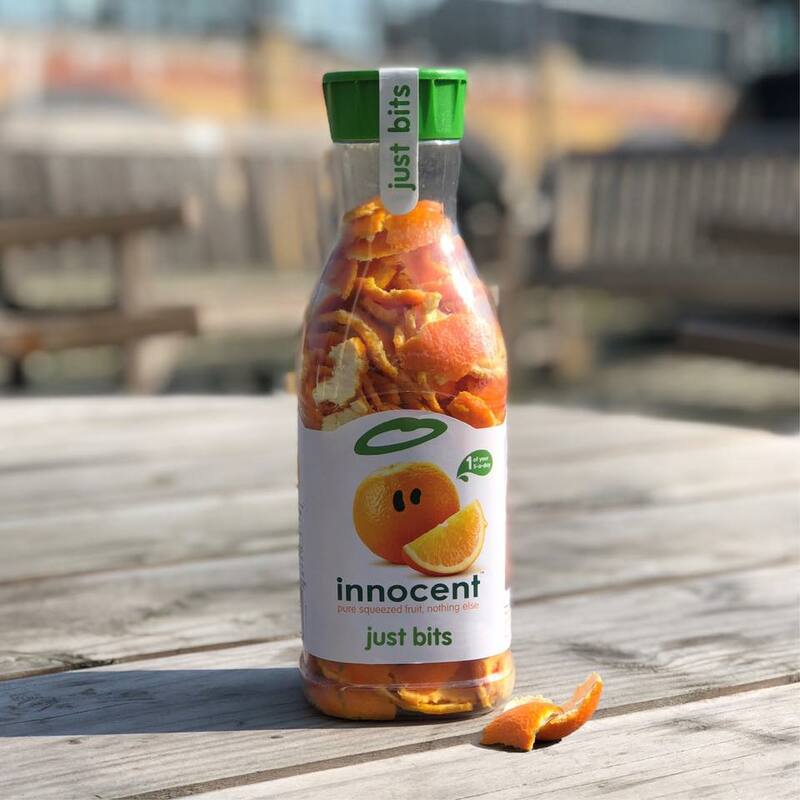 Regardless of your thoughts on juice with bits, you can’t deny that Innocent always know how to get people smiling and ultimately, that’s great news for the brand. Sweets manufacturing company Barratt brought a nostalgic treat to the forefront of our minds with their April Fools product. The Dip Dab ‘Pour Homme’ and ‘Pour Femme’ were a great way to promote their brand on April Fools Day. The ingredients for a successful post like this? It’s harmless fun, obviously a joke product but also something people might actually like to see. This resulted in engaging consumers and perhaps inspiring a few to pick up a Dip Dab on their way home from work tonight! Ultimately, it’s all a bit of fun but April Fools can be a great opportunity for brands across any industry to drive up engagement on their social channels, get people talking about their products and improve the way their brand is viewed. Although this day is a joke, in all seriousness, we can help you achieve better exposure to your brand in-store. If you’re a retail brand looking for help to boost sales and increase visibility, don’t hesitate to get in touch with us today.